The county of Staffordshire is known for being the heart of the pottery industry, with some of the most famous potteries in the world being located in Stoke on Trent. In fact, the entire northern section of the county is simply referred to as ‘The Potteries’. Whereas the more southern parts of the county are known simply as ‘The Black County’ due to the heavy and dirty coal and iron industries which are located there. It is also home to the stunning part of the Peak District National Park, and the highest village in England; Flash, which is located 1,1158ft above sea level. Journey time from London is around 1 hour 20 minutes by train and around 2.5 hours by car. An ancient market town filled with winding medieval streets and ancient marketplace. There are still a number of half-timbered buildings which remain from Tudor times including the four-story ‘High House’ (the tallest in England) in which King Charles I sought sanctuary for several nights at the beginning of the Civil War. 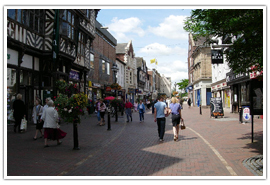 The town is home to the Shire Hall Gallery, William Salt Library and the remains of the once imposing Stafford Castle. 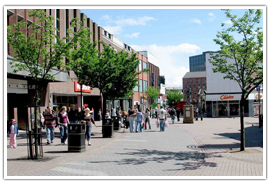 Locally referred to as ‘The Potteries’ it is commonly regarded as the capital of the world’s ceramics industry. Visitors can enjoy tours of the pottery factories as well as explore the factory shops. The town is also home to the incredible Staffordshire Hoard and closes to the famous Alton Towers theme park. It is also only an hour away from three of the country’s biggest cities; Manchester, Birmingham, and Liverpool. 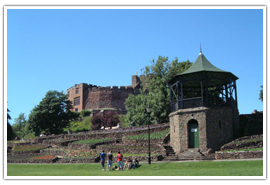 Tamworth was once the ancient capital of the region known as Mercia and is located on the southernmost edge of the county. 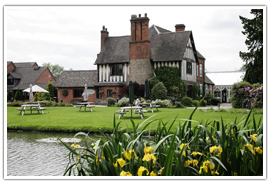 The past mixes well with the modern here and visitors can enjoy attractions as diverse as the ancient Tamworth Castle and the more modern family-themed attraction Drayton Manor theme park. There are some wonderful outside spaces to enjoy in the country when you need a break from the castles, museums and theme parks. 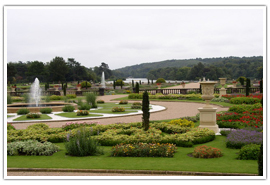 Located on the Trentham Estate in Stoke on Trent these gardens have been rated as a ‘must see’ attraction. The Italian Gardens, Rivers of Grass and Floral Labyrinth are just some of the features to enjoy here. Children will enjoy following the Fairy Trail and burning off their energy in the adventure playground. The gardens are open daily throughout the year. 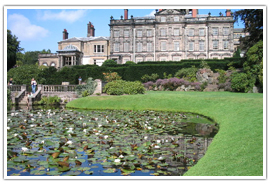 Located in the town of Biddulph these gardens have been featured in the programme ‘Secret Gardens’ by the BBC. The garden offers visitors a unique experience as they explore Egypt Court, the Chinese Garden, and the Geological Gallery. The gardens are open daily until dusk but closed on Bank Holiday Mondays. 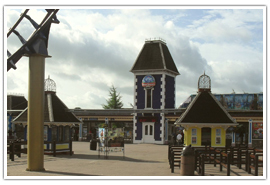 Located in Alton, there is more to Alton Towers than simply the famous theme park. Regarded as being some of the most beautiful gardens that England has to offer they make the ideal location for a family picnic. Explore Her Ladyship’s Garden which surrounds the house, and be mesmerized by the incredible Chinese Pagoda Fountain. Access to the gardens is included in the theme park ticket price. Gardens are open daily. 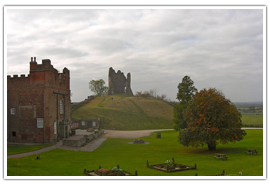 Located in Tutbury in Burton on Trent, Tutbury Castle is a place upon which there has been some form of the fortified structure since the Stone Age. It has played its part in the history of England on many occasions and was used as a prison for Mary Queen of Scots on at least four occasions. The castle hosts regular historical re-enactments as well as archaeological excavations and it is also home to an authentic Tudor garden as well as a medieval Herbery. The castle is open Tuesday – Sunday from 11.00am – 5.00pm. Visit http://www.tutburycastle.com for details about upcoming events. This wonderful cathedral has stood as the heart of Lichfield for more than 800 years. Climb to the top of the towers and you will be able to enjoy some incredible views over the town and the county beyond. The cathedral is home to the Staffordshire Hoard exhibition which is located in the Chapter House. There is a tour of the cathedral aimed at children which allows them to discover the history of the cathedral in a fun and interesting way. Open daily between 7.30am – 6.15pm. 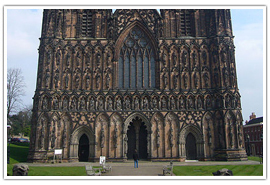 Visit http://www.lichfield-cathedral.org for more information. Located in the center of Stoke on Trent the museum takes visitors on a trip through time. The history of the potteries is explained as is the natural history of the region. There is a vast ceramics exhibition and even a World War II Spitfire on display. Visitors will also be able to view items from the Staffordshire Hoard here. Open from Monday – Saturday between 10.00am – 5.00pm and Sundays 11.00am – 4.00pm. Admission is free. Visit http://www.stokemuseums.org.uk for more information. There is more to do in Staffordshire than simply soak up the history. It is a county with many family-themed attractions and activities to enjoy. Located in Tamworth the theme park offers a great day out for all the family. Home to the only ‘Thomas Land’ in Europe the little ones can explore the world of Thomas the Tank Engine and meet all of his friends. The theme park offers plenty of adrenaline-pumping thrill rides for those with a need for speed, plus plenty of water rides and a wonderful zoo spread across fifteen acres of the park. 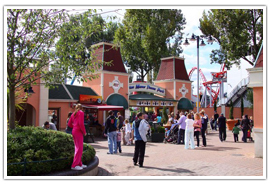 For information about opening hours and ticket prices visit http://www.draytonmanor.co.uk. Located in Etruria in Stoke on Trent, Waterworld offers a fantastic family day out no matter what the weather may be doing outside. 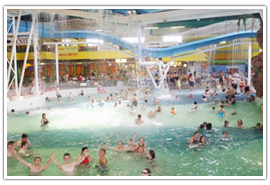 Water rides, slides and relaxing bubble pools and spas are all there to be enjoyed. Opening times vary so for more information visit http://www.waterworld.co.uk. Located in Tamworth, the Snowdome offers skiing, snowboarding, tobogganing and ice skating opportunities as well as a swimming pool; even in the height of summer. 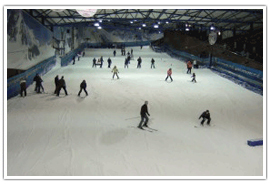 The Snowdome is open daily between 9.00am – 11.00pm visit http://www.snowdome.co.uk for information about activities and pricing. Take afternoon tea in some of the county’s prettiest locations. Located in Acton Trussel, The Moat House is a stunning moated manor house which dates from the 14th century. Much of the buildings original timber frame structure can still be seen today. Enjoy a selection of finger sandwiches, scones, pastries and cakes as you soak up the history of your surroundings. Afternoon tea is served between 3.00pm – 4.00pm Monday – Saturday. Booking is essential and prices start at around £14.50. 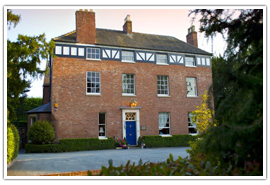 Visit http://www.moathouse.co.uk for more details and menu options. Located in Lichfield, Netherstowe House was originally constructed in 1180 as a mill house. It is a stunning venue for afternoon tea and time should be taken to explore the beautiful walled garden within the grounds. Guests can enjoy a traditional afternoon tea here between 1.00pm – 5.00pm daily for around £17.95 per person. Booking is essential. Visit http://www.netherstowehouse.com for menu options and pricing. There are some incredible wedding venues around the county which aim to provide you with the wedding day of your dreams. 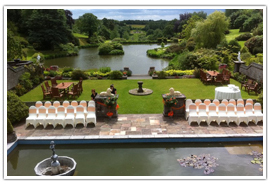 Located in Wetley Rocks, Stoke on Trent, Consall Hall is surrounded by 70 acres of a stunning lake filled grounds. Follies and summer houses are located all around the grounds which offer incredible locations for your wedding photographs. 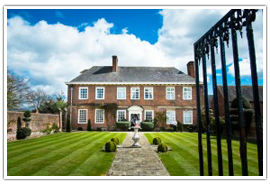 Located in Tean, the Heath House offers a wonderful country house mansion in which to celebrate your special day. Heath House is a stunning Gothic Victorian Mansion House which is Grade II listed. Summer weddings can take place outdoors in the orangery while roaring log fires and sparkling chandeliers make winter weddings extra special. Located in Bobbington, Dudley; Blakelands House dates from the 17th century and is a Queen Anne Country House set within eight acres of beautifully landscaped gardens complete with paddocks and orchards. Weddings can be either indoor or outdoor with the wedding party and guests having exclusive use of the venue on your special day. With more than eight campsites and caravan parks in the county, there are plenty of places to stay. • High Onn Caravan Club Site – Church Eaton, Stafford, Staffordshire. 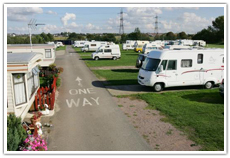 • Blackshaw Moore Caravan Club Site – Blackshaw Moor, Leek, Staffordshire. • Beaver Hall Certificated Site – Bradnop, Leek Staffordshire. 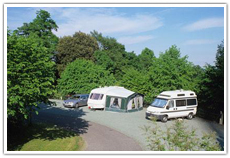 • Glanfar Camping Certificated Site – Green Lane Farm, Nags Hill, Burntwood, Staffordshire. • Springslade Lodge Certificated Site – Camp Road, Broadhurst Green, Cannock, Staffordshire. 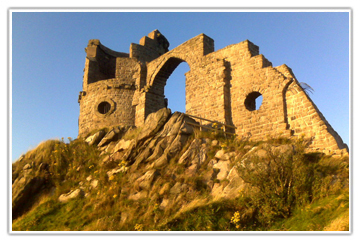 • Castle Camping Certificated Site – Congleton Road, Mow Cop, Staffordshire. 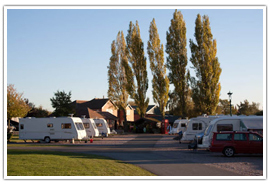 • Silver Trees Caravan Park – Stafford Brook Road, Penkridge Bank, Rugeley, Staffordshire. • Rue Hill Caravan and Camping Park – Lorant House, Rue Hill, Cauldon Lowe, Alton Towers, Stoke on Trent, Staffordshire. • Forestside Farm – Marchington Cliff, Uttoxeter, Staffordshire. 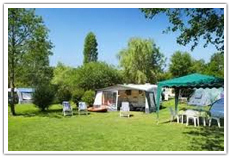 • Red Lion Farm Touring Caravan Site – Jolt Lane, Haughton, Stafford, Staffordshire.